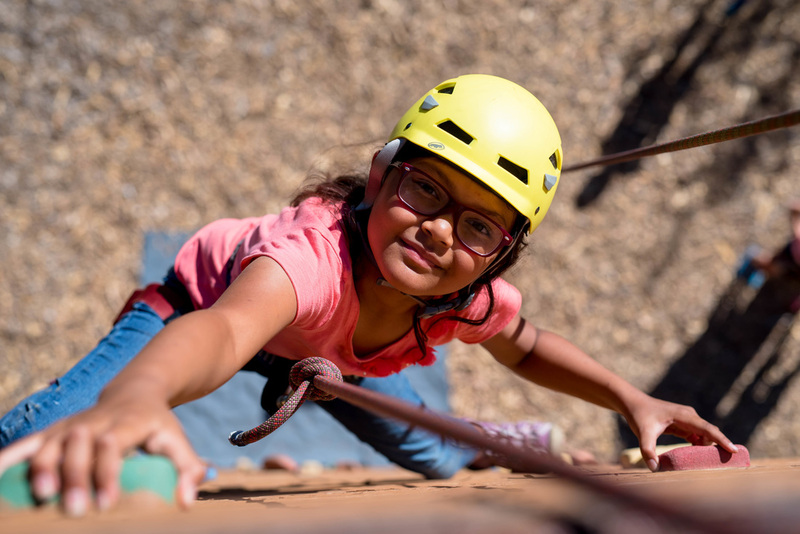 In order to achieve the goal of camper safety, PSR Camp has many different policies in place that help us construct a safe place for children to learn about God, have lots of fun, make new friends, and connect with Christian role models. Our goal is to make all camp policies clear, understandable, and (when possible) flexible for our customers. Our criteria for acceptance and participation in our summer camp program is the same for all children, regardless of religion, creed, race, ethnicity, national origin, or gender. Campers must be able to feed, clothe, and toilet themselves without assistance. We do not permit bullying at PSR Camp and encourage campers to report any bullying to a counselor. All guests are expected to follow the guidelines, safety procedures, and policies as outlined during orientation. Campers should be prepared to follow the instructions of staff members that we've created to make camp safe and fun for everyone. Campers are expected to build a 'colorful plate' of menu options during meals that include healthy choices. At PSR Camp we sing, pray, and worship Jesus together. Using only the Bible we engage campers in positive talk, life lessons, and do our best to show children how to have healthy, meaningful lives. Here are some of the policies that help guide our administrative decision-making at camp. They can also be viewed to help customers learn more about our camp culture. At PSR Camp we know that no camper comes to camp to be bullied or harassed. When a camper is deemed to be disruptive to our program, PSR Camp will contact the parents/guardians to pick-up their camper. PSR Camp may refuse entry into future camp session(s) or season(s) to any camper (on a case-by-case basis). Since bullying can take on so many different forms, we encourage campers to report bullying to an adult. We also acknowledge that adult guests can be bullies as well. Screaming, swearing, and threatening other adults is not compatible with our goals to ensure that everyone is treated with respect and grace. The camp store has souvenirs, snacks, and gift items for campers to purchase. Our camp discourages campers from carrying cash, as it may get misplaced or taken. Deposits into a camp store account can be made by logging into your account or by calling our camp office. Unclaimed camp store money is donated to our worthy camper scholarship fund (WCSF). Accounts with less than $1 at the end of your camper's session will automatically be placed into the WCSF. Camper check-in is from 4:00 pm to 6:00 pm every Sunday in the Ponderosa Room**. All children attending the session will have to pay all camp fees in full, sign all waivers, turnover all medications (if any), pass a short wellness check, and complete any additional requested paperwork before being accepted as a camper. Parents and guardians are usually able to complete all pre-camp forms and payments before registration using our online system. These customers will be added to our express pass list and skip long lines during registration. **Camper check-in for our Cub Camp II session will take place from 4:00 pm to 6:00 pm on the Thursday of that session. Camper check-out is from 9:30 am to 10:30 am every Sunday in front of Town Hall**. There is no early checkout available on Sunday mornings before 9:30 am. No exceptions. A photo ID is required to collect your camper. If you have authorized another person to check-out your camper that person must also present photo identification. No exceptions. Campers remaining after 11:30 am will be checked in to Extended Camper Care and a $15 fee will be added to your account. If your camper is staying multiple sessions, this fee is waived. Please note: Campers come from all types of families, and at PSR Camp we've created a check-out system that prioritizes camper safety. When it comes to making sure that the right person is there to pick-up a camper we have to be 100% correct every time, so leave plenty of time in your schedule to check-out your camper just in case of delays. ​**Camper check-out for our Cub Camp I session will take place from 6:30 pm to 7:30 pm on the Tuesday of that session. For parents who are curious about their child's camp experience, please feel free to follow us on social media, visit our camp blog, or check out our camper monitoring. Our camper monitoring service can be selected free of charge for our Cub Camp sessions or purchased for a small fee for our Discovery, Junior, and Tween sessions. The number of participants for each activity has been carefully crafted to ensure that campers are safe, have fun, receive adequate attention from instructors, and make the best use of available materials. When an activity is fully registered with campers, new registrants will be placed on a waiting list on a first-come, first-served basis. If the minimum class size of three is not met, PSR Camp may cancel that activity in order to move resources to a more popular class. If this occurs, you may switch your activity choice or choose a full refund. The best way to avoid the wait list for your favorite activities is to register early. As a matter of policy, PSR Camp in unable to increase the class size for more campers to participate. EMAILS: All incoming emails are screened before being delivered to campers and some messages are not added to the mail-call. If your message isn't delivered, you will be contacted. All emails received by 11:30 am will be added to the mailbag for the same day. Messages received after 11:30 am may be placed in the mail for the following day, with the exception of Saturday. UPS/USPS/FEDEX: Deliveries of mail to camp have gotten better over time, however we cannot ensure the timely delivery of letters or packages sent by a delivery service. The best way to ensure campers receive mail is to place it in the mailbag when you arrive at registration on Sunday. Outgoing mail is also screened by the office manager, and inappropriate messages will not be relayed. PHONE CALLS: Campers who call home experience a greater degree of homesickness. For this reason, we ask that campers do not correspond with parents before Wednesday of their camp week unless it is an emergency. Office phones are not available for personal calls. To leave a message for your camper, please contact our office or you may send an email which will be delivered during our mail call. Summer Camp business phone number is (951) 659-3173. Office hours are Mon.-Sat. 9:00 am-1:00 pm and 2:00-7:00 pm; Sunday 8:30 am-12:00 pm and 3:00-7:00 pm PST. Messages left on our voice mail after hours will be returned at the start of the next business day. The camp nurse/doctor may be reached at extension 126. We do our best to protect campers from painful sunburns and you can help us by providing your camper(s) with clothing appropriate to the environment. Long shorts (that meet the knee), short pants/capris, and long pants. Modest swimwear (no bikinis; tankinis okay as long as it completely covers the stomach). Shoes with a closed toe. Do not bring the following items, as they maximize sun exposure or are too immodest for camp. Shorts that do not extend to at least 4" above the knee. Tube tops, spaghetti straps, crop tops, and sleeveless shirts. Clothing with inappropriate slogans or bad language. Yoga pants, leggings, and clothing with large holes. We also recommend highly that expensive jewelry, jackets, purses, and shoes are left at home. Please check the individual activity confirmations for more information on dress code. Some activities may require loose fitting or comfortable clothing. 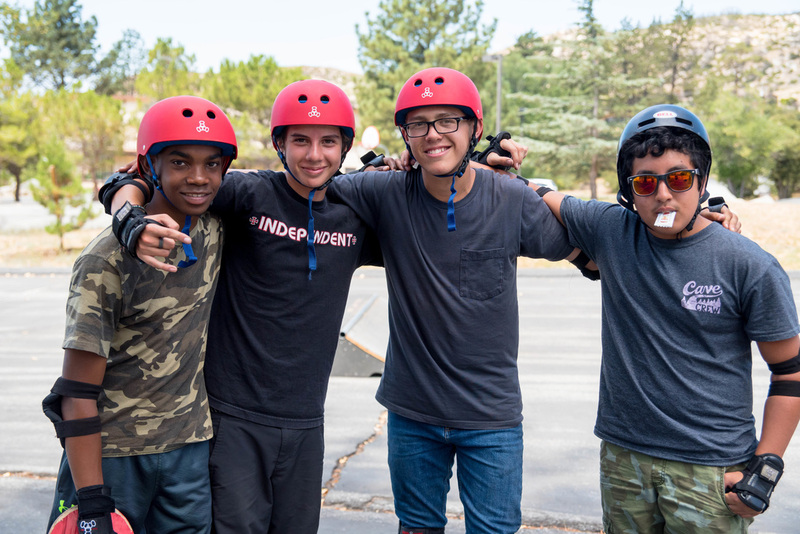 Camp fees are subsidized by the constituents of the Southeastern CA Conference (SECC). As they return tithes and offerings, SECC allocates funds to financially support our summer camp program. Included in the camp fees are meals, lodging, programs, staff salaries, secondary insurance, 24-hour camper care, and basic camp activities. A non-refundable deposit of $60 is required to reserve a space for each camper. PSR Camp accepts VISA , MASTERCARD, and DISCOVER. We are unable to process AMERICAN EXPRESS cards at this time. Personal checks will not be accepted on registration day. All payments are due on the start date of the session. We won't be able to make any exceptions going forward due to non-payment of fees. Label luggages and important items. Send campers with clothing that will be replaced during back to school shopping. Check your camper's luggage before leaving camp. Use our 'contact us' form to file a written request for missing items. All lost and found that is unclaimed will be donated to charity the following November. For the sake of all campers, staff, and guests, it is important that your child is healthy when coming to camp. Please do not bring sick children to PSR or put them on the bus. At the discretion of our camp nurse/doctor/staff/bus driver, any children displaying evidence of illess upon arrival (fever, chickpox, lice infection, etc.) will need to return home. All campers, without exception, are required to fill out a medical history and consent to treat form. Only completed forms will be accepted. PSR Camp does not primarily serve children with special needs or special diets. Please contact the camp director if you have a camper who meets our four requirements (see 'Camp is an Open & Accepting Place' above) but you're unsure if camp is a good fit for some other reason. As a general rule PSR Camp will not allow children who are outside of the age range listed to attend that specific session. Please do not bring your family pets to PSR Camp at any time. We understand that these animals are important members of your family, but animals are unpredictable and may get injured at camp or cause some injury to others. All service animals must wear appropriate indicators, otherwise these animals will be excluded from entering the property. Once a camper has checked in and been accepted as a camper at PSR, no refunds of any kind will be given for early checkout unless Pine Springs Ranch (SECC/PSR) Camp cancels your session or activity selection (i.e. class size has three or less participants). If this occurs you will be refunded in full including your $60 deposit. SECC/PSR reserves the right to expel campers and guests for bullying others, extreme behavior, and/or violating established camp policies (as stated & posted). Further, we also may restrict campers from attending camp during any future camp sessions. Please note: Our goal is to make camp as accessible as possible, and restricting an individual's attendance will only be used in extreme situations. No weekday visitors are allowed. PSR Camp understands that there may be emergencies, so please contact us before coming to camp and check-in at the camp office if you have to collect your camper or visit them. 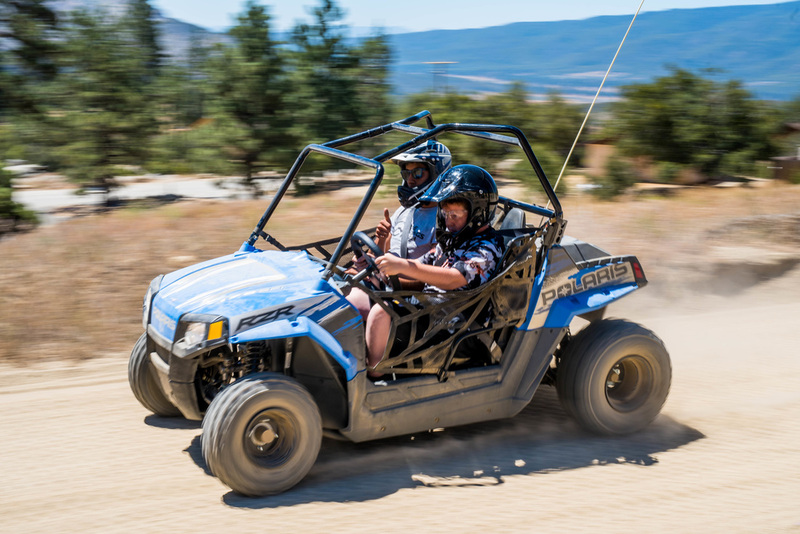 All unfamiliar adults trigger our camp security procedures to ensure that non-custodial parents, strangers, and uninvited guests do not gain access to our facility. On Saturday, visits are permitted between the hours of 10:00 am & 8:00 pm. Meals are available for $11.45/meal per adult or $8.85/meal per child under 13 years of age. A very limited amount of space is available in the camp lodge (on Saturday night) for those traveling great distances. Rooms can be reserved for $60 a night based on availability. Sabbath visitors are uncommon and must not be disruptive to the camp program.